The sun shines! The sun gives us light and heat. Sun in Latin is ‘solar’ and solar energy is the energy that radiates from the sun in particles called photons. 93,000,000 miles away, the hot sun turns four million tons of its matter into energy every second. Eight minutes later, heat and light reach the earth. When light energy is absorbed it becomes hot heat energy!! Energy from just one hour of sunshine could fuel the world’s energy needs for one year! People use the sun’s warmth to keep warm and to light their homes during the day. Solar energy is clean; it does not pollute the air, land or water and it comes to us every day. 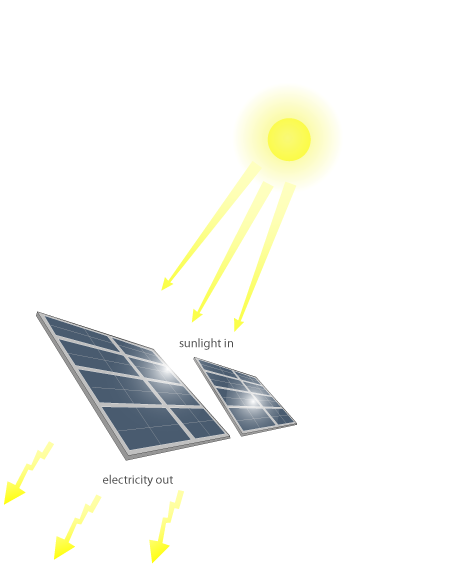 Solar energy can be used to make electricity. The process is called photovoltaic. Silicon from just one ton of sand, used in photovoltaic cells, can produce as much electricity as burning 500,000 tons of coal. You may have a solar-powered watch, calculator or eventually a car! To use the sun as a source for light and warmth we need to understand its path across the sky. Ancients used the sun for telling time. 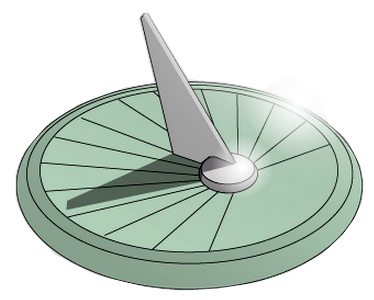 In this activity you will build a sundial to tell time using the sun’s movement. After you make your sundial, try making a sundial necklace or chain. Activity 2 – Harness the Sun's Heat and Blow Up a Balloon! 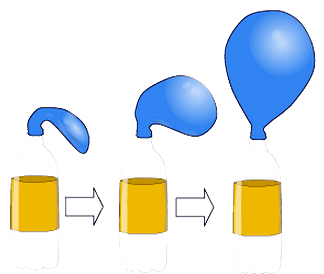 For this fun experiment you will need a sunny day, 1 dark bottle, 1 clear bottle and two balloons. Put the balloons on top of the bottles and put the bottles in the sun. Wait and watch. Which balloon begins to fill with air and why?!!! 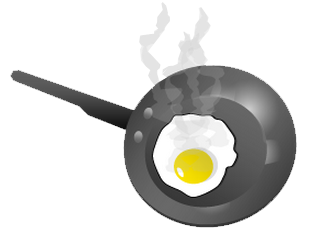 Activity 3 – Fry An Egg! Build A Solar Oven! Wait for a summer day when it is hot and the sun is shining. Ask permission to take a black frying pan outside. Crack an egg into the pan, cover with a glass lid or plastic and wait for the sun to fry your egg! Don’t forget the salt and pepper and like all good cooks, do the dishes! People all over the world cook food without using gas or electric stoves. For your solar oven, all you will need to use the sun to cook your lunch is a box (pizza), black paper, foil, clear plastic, tape and newspaper. Follow the instructions on the link and place your solar oven in the sun. Expect the cooking time to take about twice as long as with conventional methods, and allow about one half hour to preheat. Temperatures in solar ovens can reach between 200-275 degrees Fahrenheit so be sure to use baking mitts to touch pans that have set a while in the oven. Bake an apple, broil a hot dog, melt chocolate and marshmallows. Cook with the sun! You can also try this ITS solar oven exercise. How can we harness the heat from the sun to heat our water, our home and our buildings? Research solar energy and make an outline about heat from the sun and the methods we currently have to harness and use it. Be sure to research solar thermal, solar voltaics and different types of solar panels. In your report, tell about the cost, size, mounting and maintenance of each different type. 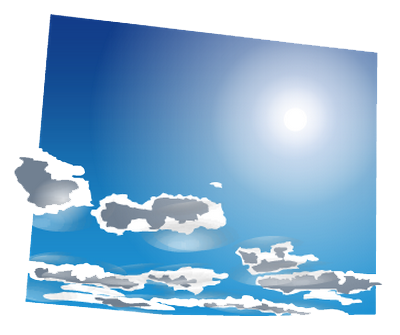 Activity 5 – How does a solar panel work? Now that you are thinking about harnessing the power of the sun, let’s look a little closer at how we will actually manage to do this. Take a look at this NOVA presentation to get inside of a solar panel. 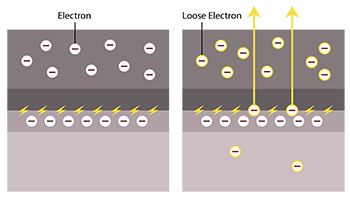 Look at how the photovoltaic cells are primed with sheets of boron and phosphorous to create a magnetic field. Next, let the sun shine! When the sun heats the magnetic fields it pushes electrons to shift to metal conductors. This energy becomes a source of electricity that can be stored, transformed and used. Make a diagram that labels these steps. Become a solar power engineer! Check out how solar panels work! Now that you know about types of solar collectors, open up Google Earth and start studying your community from above as if you were the sun. Look for the north arrow. Google Earth opens with the north air pointing up. Search for you community and zoom in until you can see the rooftops of buildings. Note where the sun rises and where the sun sets on your community. This is important to finding flat and sloped roofs that face south and can support solar panels. Print off a section or sections of community in black and white. Use post it notes to suggest solar energy types in different locations. Think about solar panels for hot waters in homes. Think about solar thermal for car washes and swimming pools. 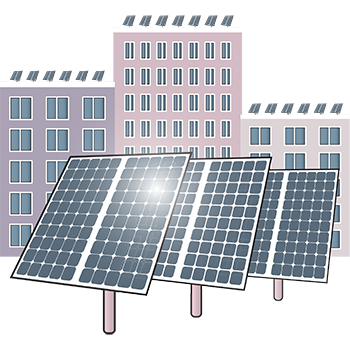 Think about photovoltaics for electricity in homes, businesses and community infrastructure. Take a picture of your Google Map wit notes and post its. Get some feedback from your friends and teachers. Perhaps you can even take it into village hall or to the mayor of your city. Consider all of the ideas you learn. Imagine which ones do you think would be possible first, second and third. This time use Scribble Maps and actually place appropriately sized solar panels in three phases. Use bright yellow for Phase 1. Use light yellow for Phase 2. 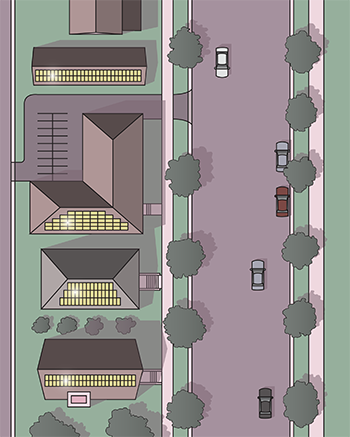 Finish with a third shade of yellow to show how many areas you can impact with solar energy in your community. The sun is _______ miles away from the earth. Some solar panels use water to collect the sun's heat. A house faces _______ in the northern hemisphere to capture the sun's light and warmth.